This is taken from an article out of the 'Sun' paper. Upon request, the additional parts of the article will be posted. The article listed two prophecies found in the Bible, using mathematical algorithms. Both prophecies are to take place June 4th, 2012. Ironically, this falls in line with Rev. Dr. Red's prediction of an "event" taking place somewhere between mid-June and August of this year. The AAPAI Bible Code report warns that Independence Day will be marked by a "new power of the AntiChrist". The program also detected several occurrences of the spanish word "AntiCristo", as well as references to "Armageddon", "marked by the beast" and "666 soldiers". Tucker believes these predictions describe an uprising by a fast-spreading cult during the last week of June 2012. 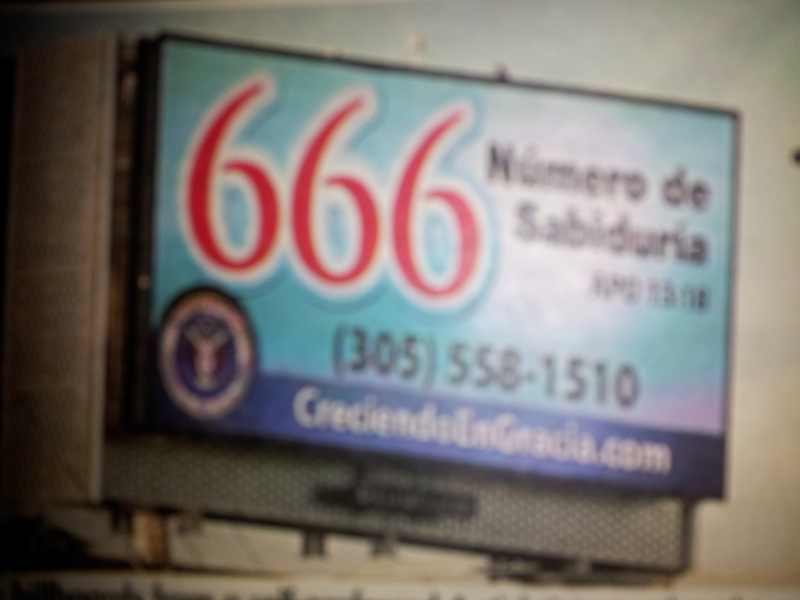 And he believes this is most likely the Miami, Florida based group called Growing in Grace International. 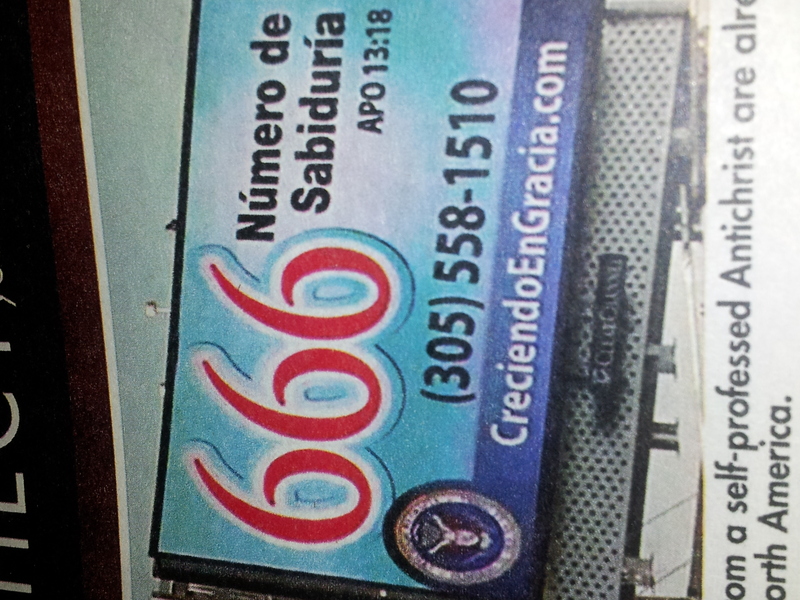 The group has already sparked controversy by erecting billboards across America emblazoned with the number 666 - the mark of the beast. Charismatic leader Jose Luis de Jesus Miranda has convinced his followers to tattoo the number on their wrists as a sign of faith. He calls himself the AntiChrist because, he says, we should be "no longer following Jesus of Nazareth as he lived in the days of his flesh". Instead, Growing in Grace International claims to study the teachings of the Apostle Paul, with whom Miranda says he is in direct contact. And they believe that by the beginning of July, the world will come to an end. "Growing in Grace has a presence in 35 countries and owns a television network and 287 radio stations", explains Tucker. "Their beliefs may seem pretty far from the mainstream, but this is no small or obscure group. They've been able to assemble thousands of followers from Houston to Toronto, and all across Latin America. And they're all dedicated to ending the current world and bringing about a new one".